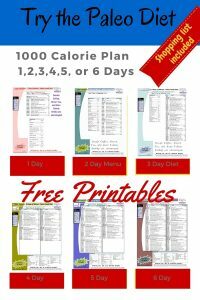 Free menus to help you kick-start your weight loss goals any day of the week. 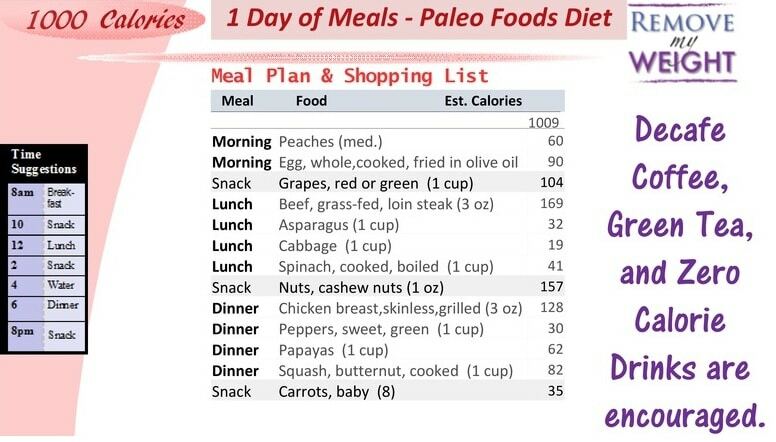 We have 17 variations of the Paleo diet plan at 1000 Calories a day to make it easy to try it out. 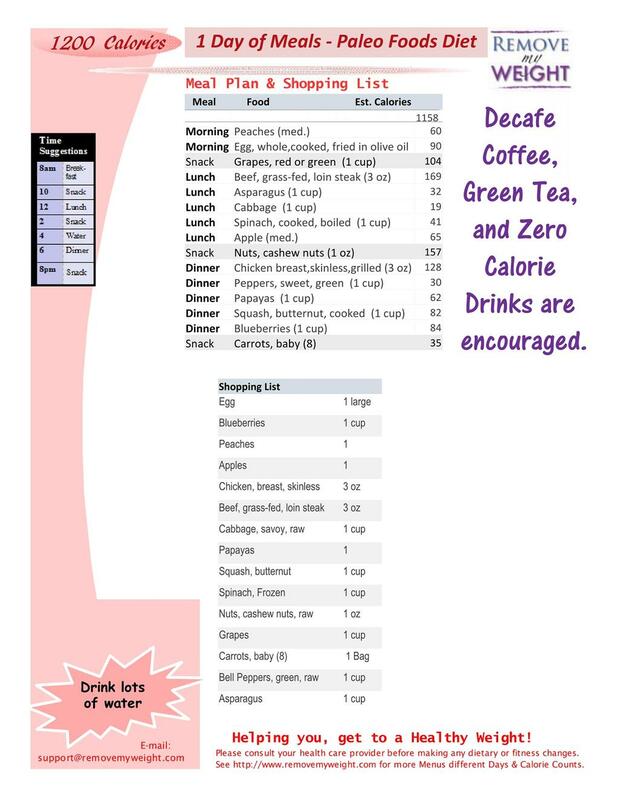 We also have 1000’s of other types of calorie counts and days to help you get to a healthy weight. 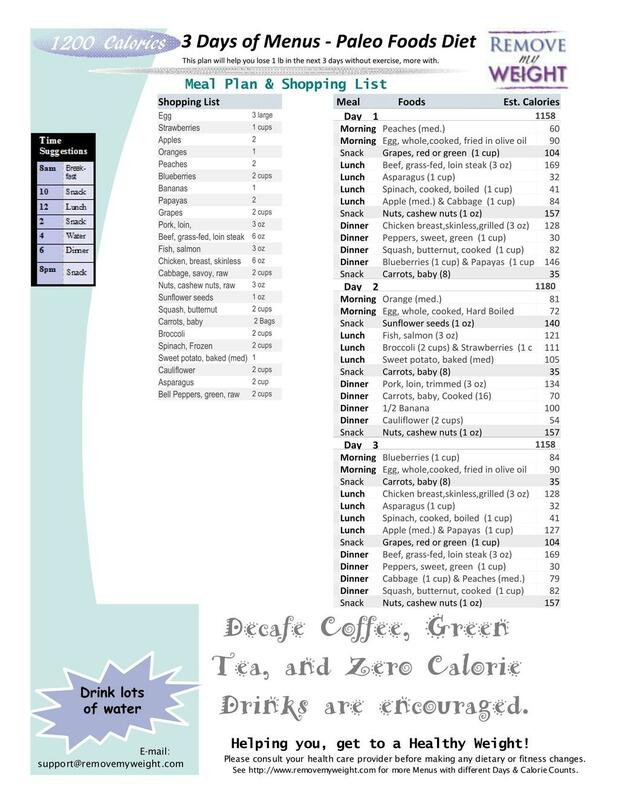 This is a simple, no recipe plan for those that need to lose weight but want to do it in the easiest way possible. The Paleo Diet Plan is one of the most popular diets, both for its simplicity and real health benefits. The plan is based on real natural food in their simplest form. The plan below is everything you need to start this type of diet. All the foods can be found at your local grocery store, with no need to go searching for it. 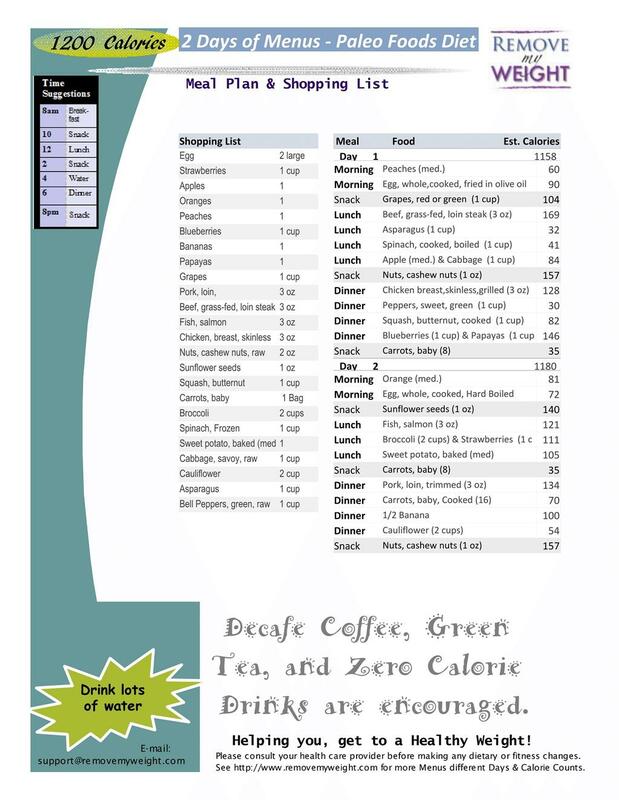 Of course, if read up on this diet you can go to the health foods store and find those odd fruits and vegetables that are allowed on the diet, but we wanted to put together a plan that most everyone can do, not just the already healthy ones. I don’t know about you, but I’m a “keep it simple” kind of person. 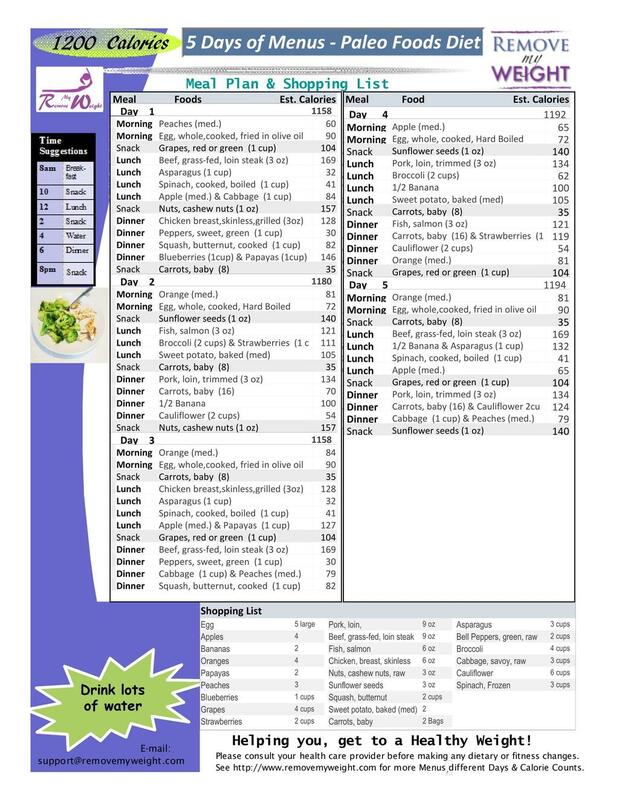 Don’t you hate when diet plans take 10 pages to show you what to eat for 1-Day? All of the plans you will find on this site are 1-page and include a shopping list so that you don’t have to do anything, but shop and eat. 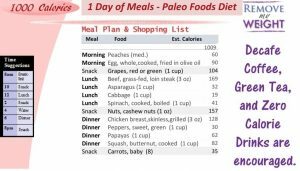 So what does 1-Day look like on a 1000 Calorie a day paleo diet plan? The picture to the right is an example of the 1-Day plan. 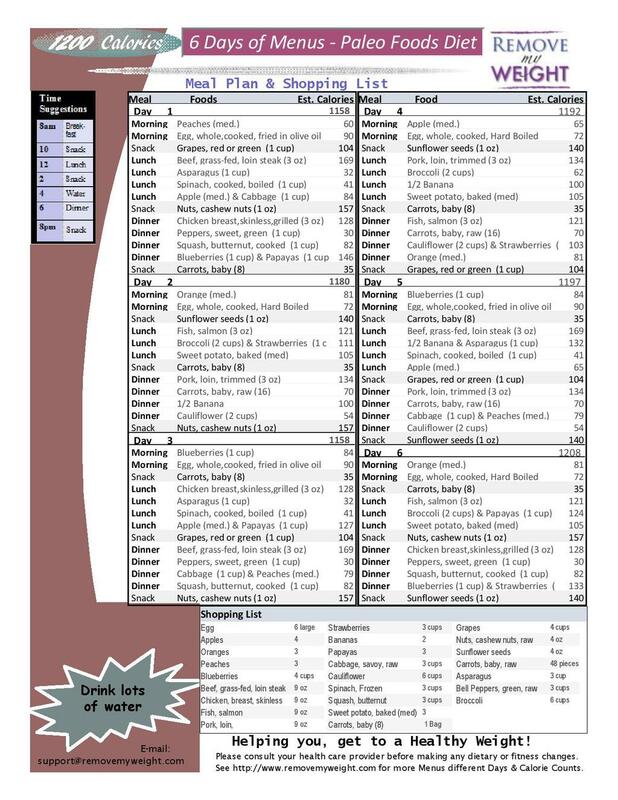 Scroll down a bit more to get this menu plan, with a shopping list. After all, it is well known that 80% of all dieting success is what you eat. If you like this plan, print it, pin it, save it, share it, or bookmark this site. 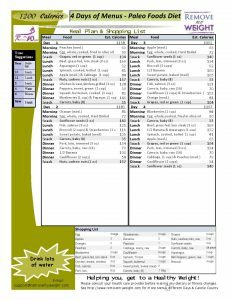 We have new diet menus posted every week. If you want to try this for a week, go directly to our 7 Day Diet Plan. If you want to try it for 1, 2, 3, 4, 5, or 6 Days click on any of the links below to go to the number of days that you would like to print. 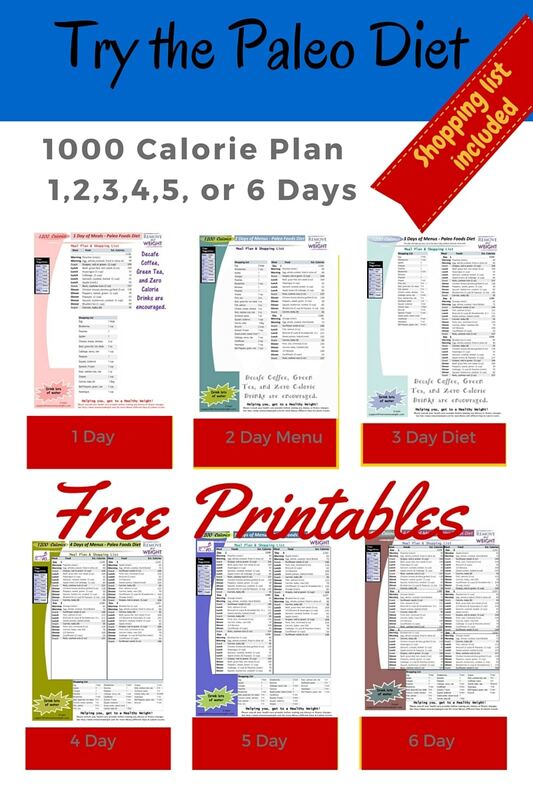 All the 1000 Calorie Paleo Diet Plans are below.